In the homes of the Pugliese locals it is customary to use the fruits of the earth used in the kitchen for simple but intense flavours always synonymous with quality and freshness. Puglia produces many of the products guaranteed by the Slow Food Presidium, such as Altamura Dop bread, Ceglie's canestrato biscuit, mozzarella, dairy products from San Vito dei Normanni, and fiaschetto tomato from Torre Guaceto just to name a few of our excellences. The palate is gratified by an unforgettable taste experience such as: homemade pasta such as orecchiette with turnip tops, fresh fish, vegetables and seasonal fruit. 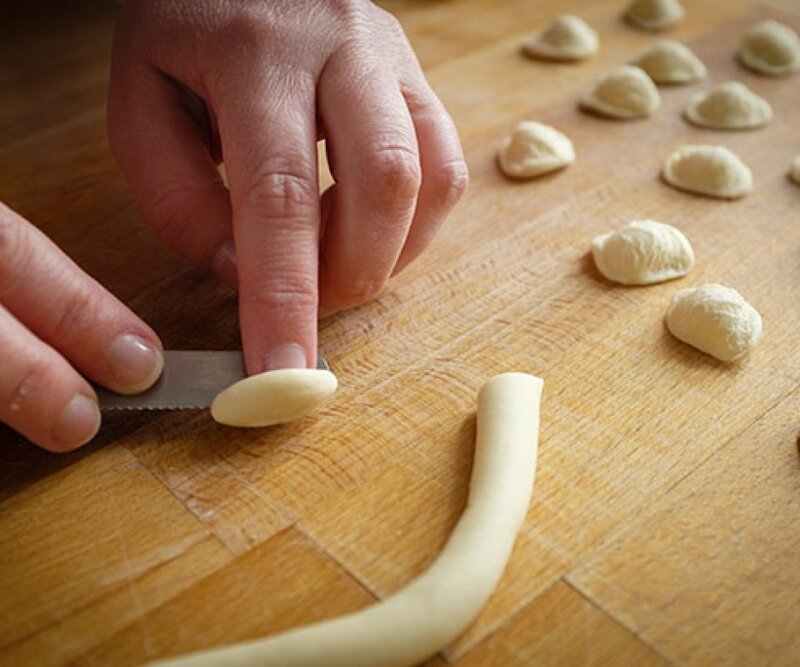 With our Cooking classes you can experience the style of the Mediterranean diet (declared UNESCO heritage) thanks to the expert hands of our locals, you will learn the methods and secrets of preparation of the traditional Apulian dishes; from orecchiette to peaks of turnip, from rustic focaccia to pastas, to broad beans with chicory. We wish to make your stay in Puglia simply pleasurable! simple and fun as possible!